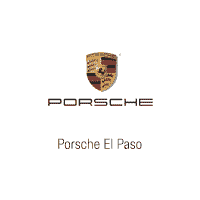 Porsche El Paso invites you to search our outstanding inventory of new Porsche performance sports cars for sale near me in El Paso, TX. Our team of Porsche specialists are ready and waiting to help you find one of the best deals on new performance sports cars around. Don’t forget to ask about our great Porsche financing options, lease deals, and exclusive dealer incentives. Search our stock online, drop in for a test drive, or call (915) 745-5300 today. This 2019 Porsche 718 Cayman is offered to you for sale by Porsche El Paso. This Porsche includes: AUTO DIMMING MIRRORS W/INTEGRATED RAIN SENSOR Variable Speed Intermittent Wipers Intermittent Wipers Auto-Dimming Rearview Mirror Rain Sensing Wipers SMOKING PACKAGE TRANSMISSION: 7-SPEED PORSCHE DOPPELKUPPLUNG (PDK) Transmission w/Dual Shift Mode 7-Speed A/T A/T BOSE SURROUND SOUND SYSTEM Premium Sound System SEAT BELTS IN SILVER GREY SEAT HEATING Heated Front Seat(s) APPLE CARPLAY WHEELS: 19 CAYMAN Tires - Front Performance Aluminum Wheels Tires - Rear Performance SEAT VENTILATION Cooled Front Seat(s) Heated Front Seat(s) LUGGAGE NET IN PASSENGER FOOTWELL VOICE CONTROL INTERIOR PACKAGE PAINTED IN EXTERIOR COLOR 2-ZONE AUTOMATIC CLIMATE CONTROL Multi-Zone A/C A/C Climate Control WHEEL CENTER CAPS W/COLORED PORSCHE CREST *Note - For third party subscriptions or services, please contact the dealer for more information. * Pull up in the vehicle and the valet will want to parked on the front row. This Porsche 718 Cayman is the vehicle others dream to own. Don't miss your chance to make it your new ride. The Porsche 718 Cayman will provide you with everything you have always wanted in a car -- Quality, Reliability, and Character. Beautiful color combination with Black exterior over AG/BLACK interior making this the one to own!